CARFAX 1-Owner, LOW MILES - 24,538! PRICE DROP FROM $17,999, PRICED TO MOVE $700 below Kelley Blue Book!, EPA 36 MPG Hwy/28 MPG City! CLICK NOW! Back-Up Camera, iPod/MP3 Input, Bluetooth, CD Player.
. MP3 Player, Remote Trunk Release, Child Safety Locks, Steering Wheel Controls, Electronic Stability Control. 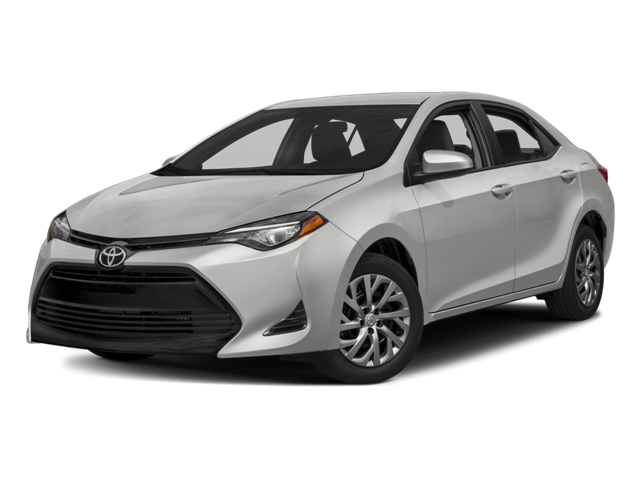 KBB.com's review says "The 2017 Toyota Corolla may very well be the perfect first car, with its excellent standard safety equipment, low price and fuel-efficient drivetrain.". Reduced from $17,999. This Corolla is priced $700 below Kelley Blue Book. Pricing analysis performed on 12/17/2018. Fuel economy calculations based on original manufacturer data for trim engine configuration. Please confirm the accuracy of the included equipment by calling us prior to purchase. Hello, I would like more information about the 2017 Toyota Corolla, stock# X670. Hello, I would like to see more pictures of the 2017 Toyota Corolla, stock# X670.